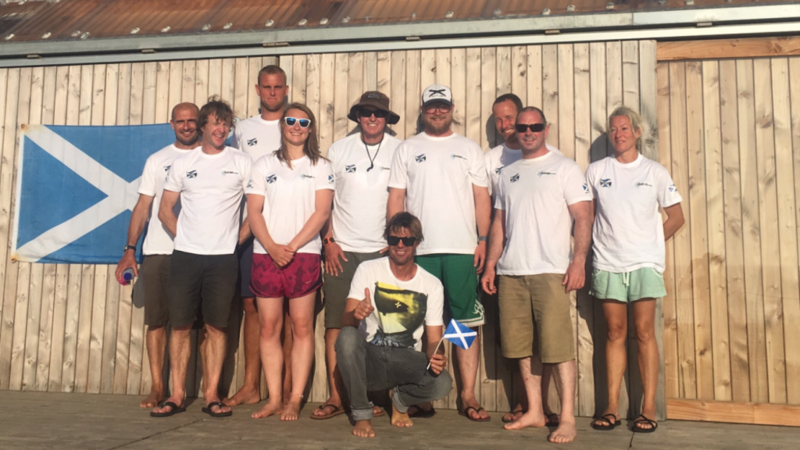 Between the 26-30th of September 2016 the Scottish Surfing Federation sent a group which included 4 Scotland Squad coaches along with Scotland’s National Surfing Squad who are due to compete at the 2017 ISA World Surfing Games in Biarritz, France to be trained by Didier Piter 4x European Champion and ex French National Team Coach at the Hurley Performance Centre in Hossegor, France. The coaches who attended the course were from all four corners of Scotland with a view that these coaches can work with the SSF affiliated clubs and those selected for Scotland’s national squad in their respective areas. We had Paul Le Roux (Tiree Surf Club), Craig Sutherland (Moray Firth Surf Riders), Chris Clarke (North Shore Surf Club) and Sam Christopherson (Belhaven Surf Club). These coaches were selected based on their level of experience and dedication to Scottish surfing. Paul Le Roux (TSC) has been doing outstanding work coaching the Tiree Surf Club kids and in particular has been instrumental in the success of Scottish Junior Squad members Finn MacDonald (Scottish U18 Champion) and Ben Larg (age 11) who was the most successful of the Scottish juniors at the recent ISA World Junior Championships in the Azores where Ben Larg (SCO) was the only Scottish surfer to make it through to rep rd 2 in the u16 category. 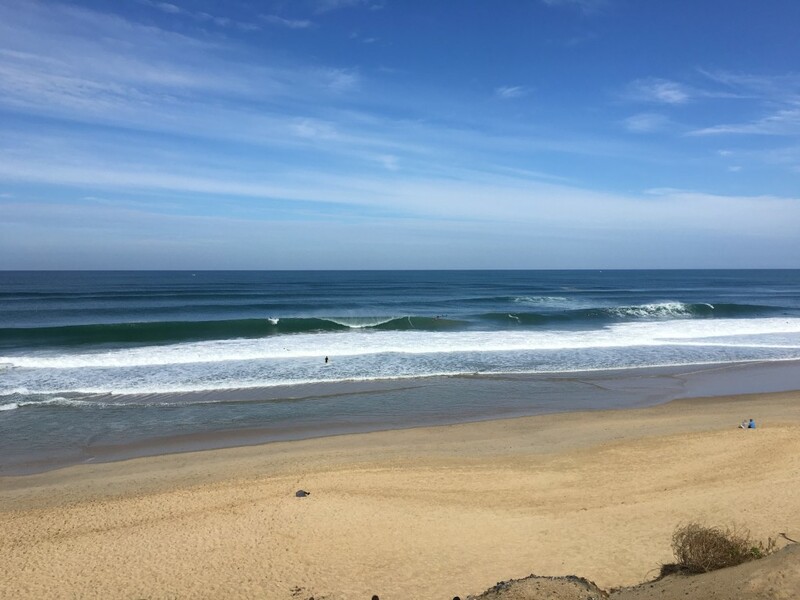 Craig Sutherland (MFSR) runs Suds Surf School now based on the Moray Coast and is one of Scotland’s leading surfers in the Masters age group. ‘Suds’ is the 2015 and 2016 Masters division champion at the ‘Gathering of the Clans’ (Scottish Inter-Club Surfing Championships) and made the final of the Masters division in this year’s Scottish National Surfing Championships too. Chris Clarke (NSSC) was the 2015 Scottish Longboard Champion and is also a Scotland Team internationalist having competed at EuroSurf 2015 in both the Longboard and Open categories. Chris proved to have a great knack for coaching during international events which he has attended and also for Thurso’s North Shore Surf Club which he coached to victory at the ‘Gathering of the Clans’ (Scottish Inter-Club Surfing Championships). Chris is also enthusiastic about developing the kids from the NSSC at competitive and national level. Sam Christopherson (BhSC) is another surf school owner, this time Coast to Coast in Dunbar one of Scotland’s most established surf schools. Sam is another Scotland internationalist and Scotland’s current longboard champion but prides himself on being an incredibly versatile surfer on any craft. Sam is already one of Scotland’s most experienced coaches and will be coaching the Scotland Junior Squad at the EuroJuniors in Morocco this December. In addition to our dedicated coaches on the trip we also had members of the current Scotland Squad. It has recently been announced that the following athletes have been selected to represent Scotland at the ISA World Games in Biarritz, France in May 2017, they are: Mark Cameron, Mark Boyd, Scott Main, Chris Noble, Shoana Blackadder and Kirsty Lymburn. In attendance the trip we had Mark Cameron (Men’s No.1) , Mark Boyd (Men’s No.2), Chris Noble (Men’s No.4), Shoana Blackadder (Women’s No.1) and Phoebe Strachan (Women’s Alternate). The week mostly consisted of video and heat analysis sessions with Didier of the Scotland Squad and coaches with the aim to elevate the standard of surfing in Scotland by training Scotland’s elite surfers and allowing those who will be coaching Scotland’s elite to learn first hand the skills necessary to coach national level surfers with a view that the Scotland squad members will also learn the correction and analysis techniques which can be brought back to Scotland. This knowledge can then be filtered down through Scotland’s surfers and in particular Scotland’s junior surfers. In the course of just 5 days huge improvement in the surfing was noted amongst the Scotland squad and these squad members will not only put this knowledge to good use on improving their own surfing but also working together with our Scottish coaches in junior development across Scotland. The training with Didier Piter was funded by SportScotland whom the Scottish Surfing Federation would like to thank for their continued support.